This square shaped flush mount by Tech Lighting features a glass shade mounted on a plate formed base. This contemporary light gives off general light and is perfect where you need overhead light and don't have room for a large fixture. May be mounted on the ceiling or wall. Available with incandescent lamping. Includes one 40W halogen bulb. 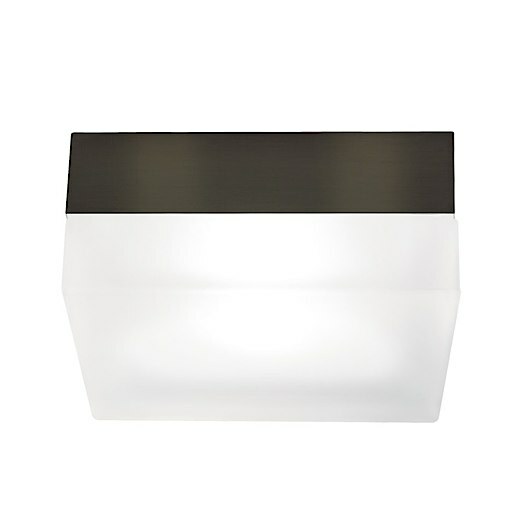 Dimmable with a standard incandescent dimmer (not included). Suitable for wet locations. ADA compliant. For all the details, download the specification sheet.